Over the past week, multiple large wildfires have broken out across California from San Diego County to the Oregon border, releasing tons of carbon dioxide into the air. As the vegetation grows back, the system should reabsorb carbon from the atmosphere, serving as carbon sinks — but that depends on how well those grasses and trees respond to a changing climate in the years to come. A new study from researchers at UC Davis finds that grasslands are likely to be more resilient carbon sinks than forests as the climate changes. Grasses store more of their carbon underground, leading to fewer carbon losses from fire or drought. Currently, forests store much greater amounts of carbon than grasslands. California redwoods, for example, absorb more carbon per acre than any other system in the world. But as a whole, California’s forests are faring poorly in the face of increasingly severe drought, fire, and beetle kill. The Forest Service has estimated that 129 million trees have died in California since 2010. Most of the carbon that these trees stored is above ground and will be released when the trees burn or decay. Lead author Pawlok Dass, a postdoctoral researcher at Davis, who focuses on the global carbon cycle and climate change impacts on ecosystems, wondered whether the focus on forests in climate mitigation plans might be a problem. “We realized that a lot of money is being invested in the forests which are being impacted quite a bit by these wildfires," he says, "which are literally burning the forests and causing all the money invested to go up in smoke." Meanwhile, Dass notes, grasslands were getting very little attention, even though grasslands are an important native ecosystem in California -- especially in the southern part of the state. The researchers used a forest simulation model to test how well forests and grasslands in California would fare in four different climate scenarios: 1) an optimistic scenario where emissions stop, 2) a “business-as-usual,” where emissions continue at the present rate, 3) cyclical drought, and 4) “megadrought” that persists for the next century. In all four scenarios, grasslands generally did better than forests. Grasslands expanded in the Sierra Nevada and southern parts of the state and contracted in the north. On the other hand, forest area shrank under most of the climate scenarios, only expanding in the most optimistic scenario. The model does not account for any kind of direct human activity, such as logging or fire suppression. It also lumps plants into broad categories: a coast redwood tree counts the same as a lodgepole pine tree, even though a redwood can easily re-sprout after a fire, whereas a pine cannot. Similarly, non-native grasses are treated the same as native grasses, though non-native grasslands are pervasive in California and research suggests non-native grasses store less carbon than native grasses. While Dass concedes that the simulation is an oversimplification, he says it’s a way to do experiments that would be impossible or unethical to do on a large scale in the real world. The model predicts that in the absence of human intervention, California’s vegetation will lose more carbon than it can absorb under all but the most optimistic climate mitigation scenario. In order to compare the relative effects on grasses and trees, the researchers ran two experiments. First, how would carbon storage change if there were only grasses in California? They found that California remained a carbon sink in the long term. But when they asked the opposite question—what if there were only forests?—carbon storage quickly declined, because the forests couldn’t cope with fire and drought. In the most ambitious climate mitigation scenario, forests remain the largest carbon sinks in California. But Dass is not optimistic. The study’s authors are quick to emphasize that we should still protect forests. And the researchers acknowledge that their study does not account for forest management activities, such as forest thinning and prescribed burning, which can increase the resilience of forests in the face of climate change. Governor Jerry Brown’s final budget plan includes $210 million for forest improvement and wildfire prevention projects, supporting the California Forest Carbon Plan announced in May. 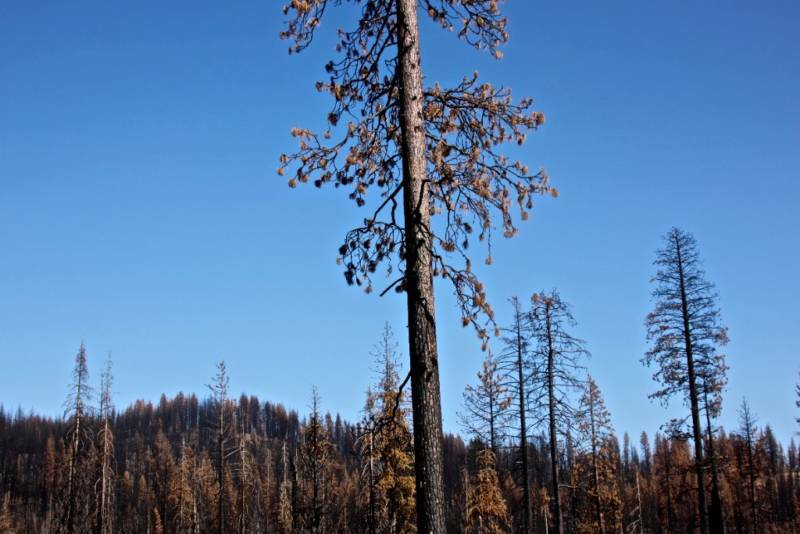 The “fire funding fix,” passed by Congress as part of a federal spending package in March, which changes the way fire suppression is funded, is also designed to support forest resilience projects in the years to come. Still, forest treatments need to be applied strategically and consistently; some researchers argue that forest treatments are unlikely to increase carbon stocks on a large scale. If you do a controlled burn on an area that never sees a wildfire come through, the net effect is carbon loss. Depending on forests and forest management activities for carbon storage can be risky. Based on the new study, grasslands are more reliable carbon sinks. 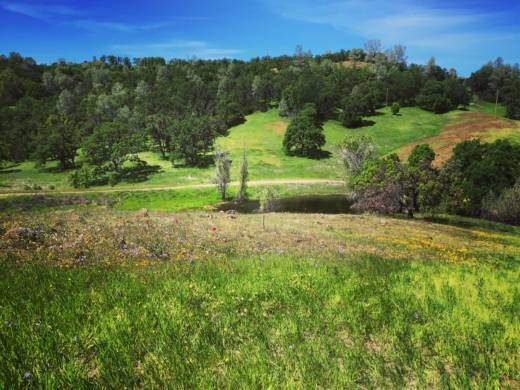 The study’s authors argue that grassland conservation should be more seriously considered as carbon sinks for the state’s Cap-and-Trade offset program, which is regulated by the California Air Resources Board. Under the program, businesses can offset up to 8 percent of their carbon emissions by supporting approved carbon mitigation projects. Approved projects cover a wide range of activities but their carbon storage capacity must be verifiable over the long term. Many of the approved projects focus on forest conservation and management. And forest offset projects must already account for their own riskiness, says Dave Clegern, a spokesman for the California Air Resources Board. There’s a buffer built in for wildfire or other unintended disturbances. Currently, grasslands are not on the list of acceptable project types. Dass and the authors of the new study thinks that it’s time to add grasslands to the portfolio. Dass notes that “grasslands are more stable than forests, but they are by no means immune to the effects of climate change.” The authors cite the Marin Carbon Project as an example, which promotes carbon sequestration in rangeland, agricultural, and forest soils by encouraging practices like adding compost to grasslands. Clegern says the Air Resources Board is aware of these projects, but that they have not proven their case as a viable alternative. “We really want to see some more research,” says Clegern.